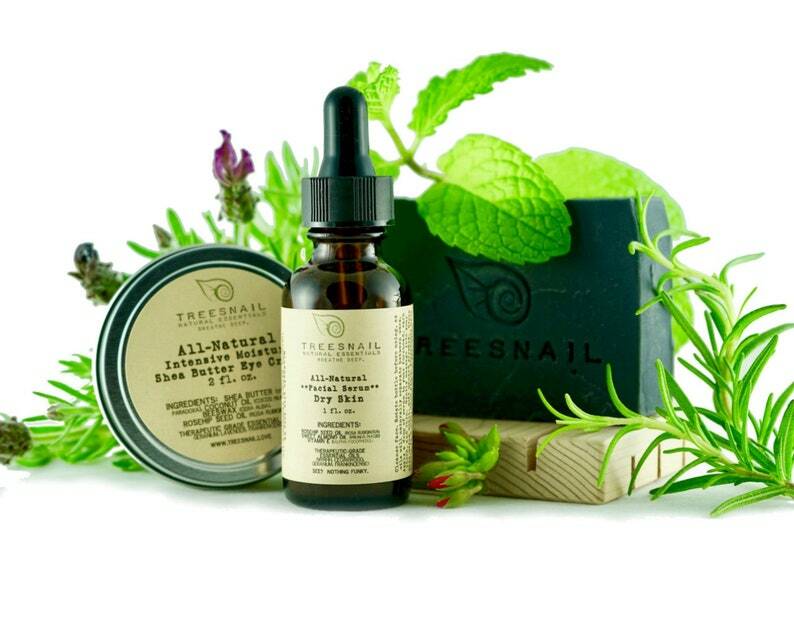 The organic skin care gift set that will fit everyone on your list! A collection of three all-natural products lightly scented with therapeutic-grade essential oils, pure carrier oils, and organic butters and waxes. All specifically formulated to gently exfoliate, cleanse, and provide breathable moisture to all five major skin types (combination, dry, normal, oily, and sensitive skin). Each natural skin care gift set comes packaged in a gold gift box with a clear top, ready to give. I really like this soap! It smells lovely and is nice and smooth feeling. I bought it to try on my face, but it may be a little too dry for my older, drier skin ... but I'll still use it for the rest of me!